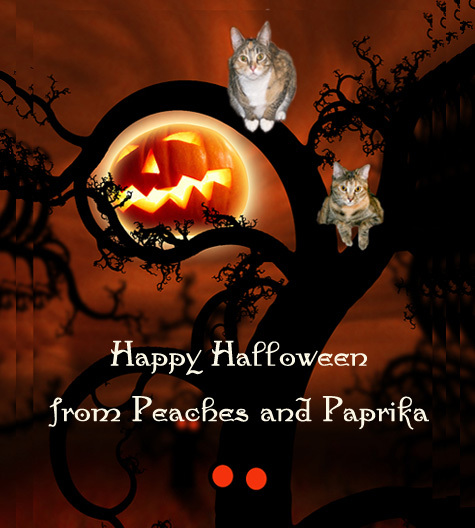 Peaches and Paprika: Happy Early Halloween! We're sure they will know about everything including their special day!!! what a totally darling photo!! Happy Happy Halloween!!!!!!!!!!!!!!!!!!!!!! Paprika is a pepppy kitty :) Great photo- Happy Halloween! Another very cool graphic. Happy Halloween to all of you!